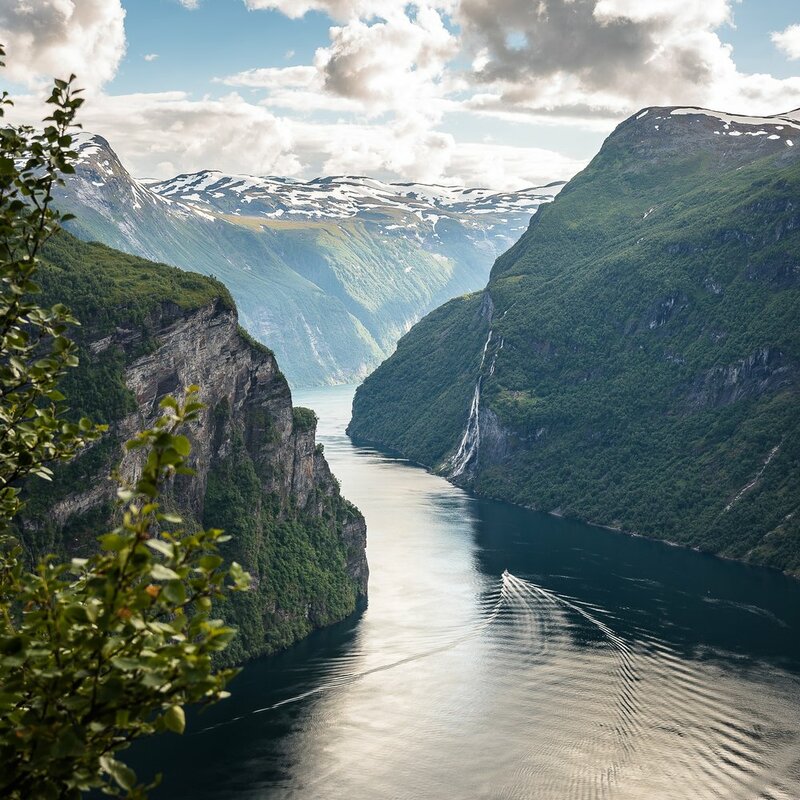 In my Vanir Dragon series, the Edge of the World is the knife-edge cliff over which the River Drasil empties into the depths of the Crevasse, the fissure formed long ages past when the great islands divided from the mainland along a geologic fault line. By the time it reaches the Edge, the Drasil has spread out into a vast, shallow lake filled with ever shifting snags and sandbars. The waterfall itself is nearly as wide as the lake, a broad, lacy curtain that slides relentlessly over the cliffs, churning up an eternal mist from below. At the bottom of the Crevasse, the water flows down three narrow channels--the roots of the great river tree--to the sea. The channels leading north and south separate the great islands from the mainland. The westward channel divides the islands from one another. On the northern bank of the river, just before it slips over the edge, sprawls the Vanir town of Topside. In the long ages before the Breaking, there was another town, a Fae town, on the southern bank as well. It burned to hollowed out ruins in the last days of the Breaking, and not so much as a blade of grass has lived there since. Topside has its share of farms and fields, but the heart of Topside is the market. Topside Market overflows with exotic foodstuffs, rich textiles and furs, lumber in every size and species, carvings of wood, and stone, and shell, spices, and dyes, and jewelry, and minor magical trinkets of every description. Trade goods from all the kingdoms of men, and sometimes from the fell mountains of the dwarows beyond, flow down the branching tributaries of the Drasil, carried by the river men, the Ratatosk, to the main trunk of the river, and westward down the river to the Edge. At Topside, the goods are unloaded at the docks and lowered, for a price, safely down the lifts into the Crevasse where ferries carry them across to the town of Firth, which clings to the ankles of the great island Vanahir. From Firth, channel boats carry cargo down the roots of the river tree—north through the lands of the Vanir all the way to the ice coasts of Hel; west to the rocky coves and islands of the yotun; and south through the blasted lands of the other great island, Faehold, where scattered settlements of humans, and ogres, and hobgoblins are beginning to find purchase among the ruins. And trade flows back the other direction as well--up the channels, up the lifts, and up the Drasil with the Ratatosk, where they command premium prices in the human markets. The lifts line the edge of the cliff far enough north of the waterfall for the ferryboats to approach safely after creeping up the Crevasse from Firth. Here, the naked stone has been smoothed and reinforced by yotun stonesmiths to prevent crumbling. The lift platforms creep up and down the cliff face, swinging gently, like huge, slow pendulums suspended from the chains of the massive treadwheel cranes that cling to the Edge of the World. When I first imagined the Edge of the World, I wondered if such a geological feature were even realistically plausible. 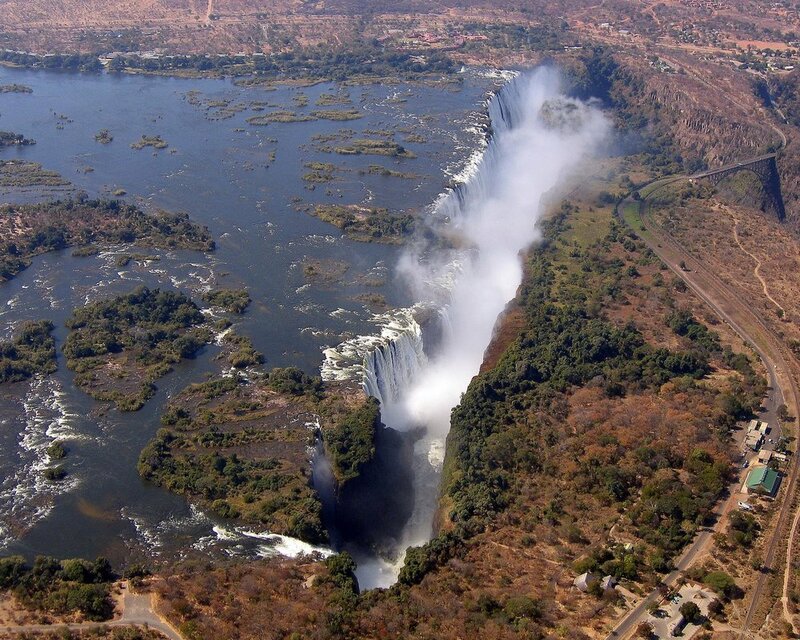 To my delight, I discovered Victoria Falls on the Zambezi river at the border of Zimbabwe and Zambia. Although smaller than I imagine the Edge to be, and formed through different geological processes, Victoria falls helps form the inspiration for the fictional Edge of the World. Treadwheel cranes were used heavily during the Roman and Medieval periods in Europe. The crane was powered by people or animals walking on the treadway inside the wheel, causing it to turn like a giant hamster wheel. Some cranes had treadways wide enough to accommodate more than one person, and some had two wheels, one on each end of the central spindle. The first crane below is a reconstruction of a Roman crane. The second is a reconstructed medieval crane that could swivel as well as lift. The cranes operating the lifts at the Edge of the World would naturally be much larger and reinforced magically with yot marks, but these images give a good idea of the basic construction for this type of crane.